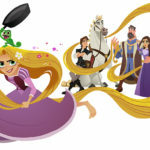 Kids who love Disney Channel’s Tangled: The Series will be eager to read the new book, Rapunzel and the Lost Lagoon: A Tangled Novel. 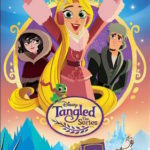 Like the series, this story takes place after the events of the film, Tangled, but before the short Tangled Ever After. It perfectly captures the fun and adventurous spirit of the show, but with a new and original story that you won’t find on TV. The story starts during the events of Tangled: Before Ever After with Rapunzel meeting Cassandra, who soon becomes her lady in waiting. This prologue helps establish their relationship, as Cas is the daughter of the Captain of the Guard and is capable of becoming a guard herself, feeling held back by her gender and because the found princess took a liking to her. Flash forward six months and this new adventure begins. When Rapunzel finds an old book in the castle library, she and Cas uncover a long lost poem that is half written in English and half in a long forgotten language. The poem tells of a lost lagoon with a mysterious secret and the girls soon discover that the lagoon is real and located near the rocks that caused Rapunzel’s hair to grow back. The pair strengthen their friendship and satisfy each other’s thirst for adventure as they unite to discover the secrets of the lagoon. As if this wasn’t enough, the visiting kingdom of Samporia is in Corona for the Moonlight Festival and the book goes missing shortly after their arrival! 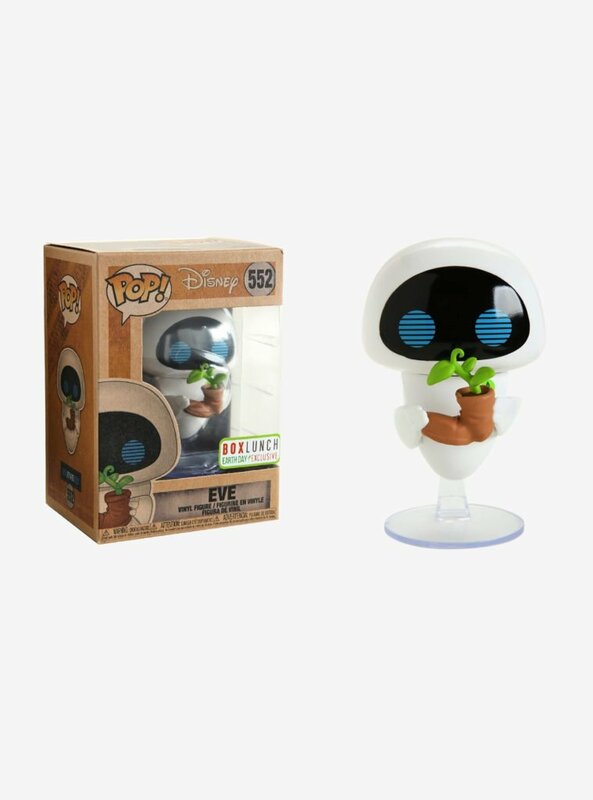 Cassandra has a short list of possible suspects and when she accuses Rapunzel’s new friend and even Eugene, their relationship starts to be pulled apart. 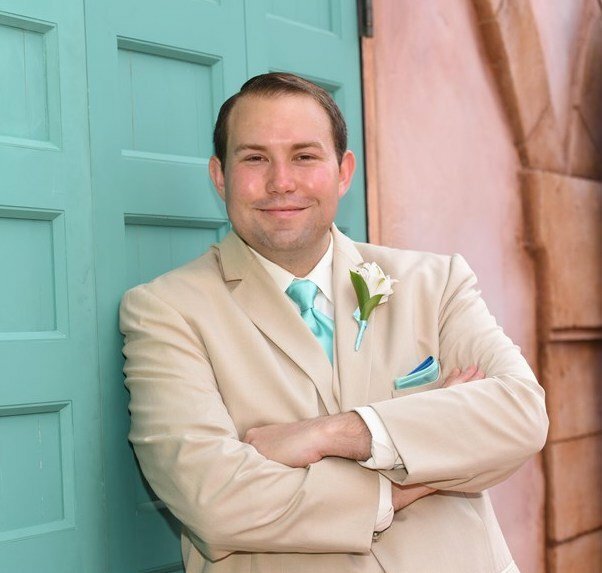 The story features a great message about what it means to be a true friend and when it is and isn’t okay to keep a secret from someone close to you. 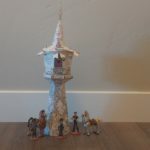 Author Leila Howland tells the story by having each chapter alternate between Rapunzel’s and Cassanra’s points of view. She does a fantastic job of speaking in both character’s voices and seems to really understand each one inside and out. Fans of the series will delight in getting to know Cas better, as she really is an intriguing character and a perfect sparring partner for Rapunzel. Other beloved characters from the film and series are in this book as well, including Eugene Fitzherbert, Pascal, and Maximus, but the focus really is on the friendship between Rapunzel and Cassandra. There’s an overall message of girl power and throughout and I think it will be inspirational to young readers. The book is perfect for readers in 5th-8th grade, although fans older than that are certainly given a lot to love about this story. 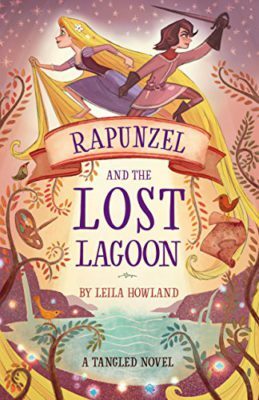 This was my second time reading the work of Leila Howland in the past few months and for any older Rapunzel fans, I recommend also checking out her other recent release from Disney’s Hyperion label, Hello, Sunshine. 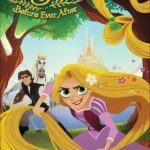 For young Disney fans looking for a good book to read this holiday season, look no further than Rapunzel and the Lost Lagoon: A Tangled Novel. It’s full of adventure, friendship, and fun.